Is he talented or is he just lucky? 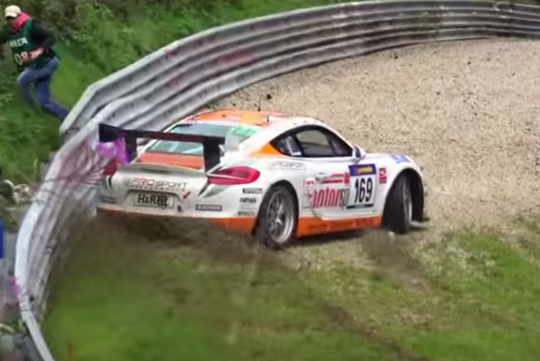 Watch this Cayman GT4 driver save his car from the barriers after going into the corner too fast. We reckon it is more of talent considering how he knew when to throttle without spinning out. Maybe he should try drifting competitively actually! For eagle-eyed readers, you might also have noticed that the Cayman GT4 is actually wearing a 911 GT3 face. Pretty cool in our opinion!